Pop-up Parlour – The Oracle, Reading. Exhibiting work of Reading’s Artists and Designers. ON NOW! 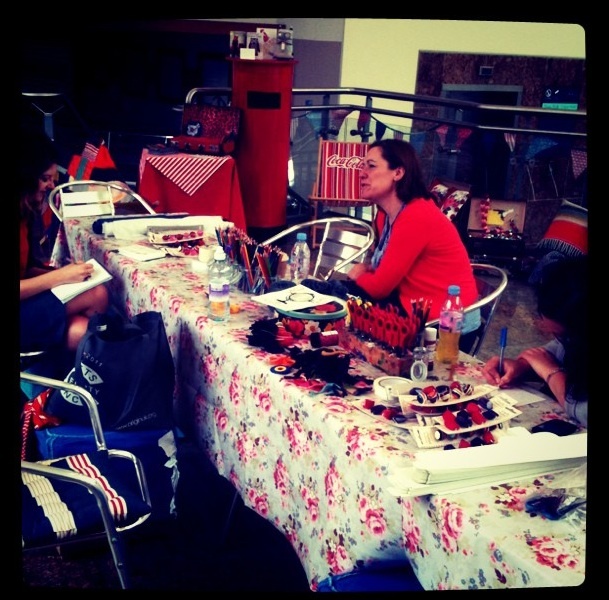 Pop-up parlour – Reading’s Aunt Elsie’s secret market has taken a temporary residence in the Oracle Shopping Centre under the name ‘Handmade at the Oracle. The parlour hosts a special collection and installation pieces by local artists and designers who volunteer and work with the Jelly. Everyday the space is open from 11.30am to 2.30pm and warmly invites people to come and enjoy and explore the joys of the handmade. There will be all kinds of activities to join in with from drawing to knitting and sewing, the Postcard from Reading project to a bead project. You can just pop along with your own project or come in and sit down with the artists and makers and enjoy the space and time. Everyone is welcome but please note they can not have any unsupervised children – Aunt Elsie wouldn’t know what to do! My work is currently for sale within the space. I can be found there hanging out with the other artists and designer/makers during some weekdays with my knitting.